In 1996 Carlos Pajon started a dream. Shortly afterwards, it became a visionary’s reality as Frank Enriquez brought the HVAC license to the company. 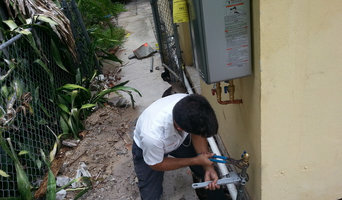 Since then, TASCO has grown to become one of South Florida’s top providers of plumbing and HVAC services. TASCO’S commitment to deliver excellence every time is inspired by the ownership’s integrity and hands-on approach to each and every project. At the time the company focused on residential and commercial construction, but since then has expanded into a full service plumbing and Air Conditioning company. Services range from new construction, residential and commercial repairs, to water treatment, and septic installation and maintenance. TASCO is family owned and operated and has become one of the most well respected plumbing and AC companies in South Florida. We are licensed contractors that, through 15+ years of customer care and quality service, have established a credible name and reputation. We have been in business for over 20 years. We use the knowledge and experience we have accumulated to provide the best, most economical service possible. We do the job right the first time. Our customer's satisfaction is most important to us. 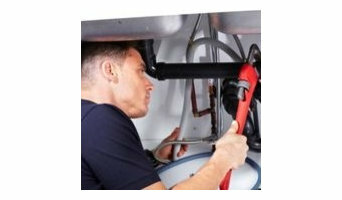 For quality plumbing services in Miami and the surrounding areas, be sure to call on your local Mr. Rooter Plumbing. We tackle commercial and residential plumbing needs, from drain cleaning to sewer line repairs 24 hours a day, 7 days a week at no extra cost to you. Our licensed plumbers are proud to serve customers throughout Coral Gables, Miami Beach, Pinecrest, Key Biscayne, and beyond! With upfront, flat rate fees on all jobs, we make it simple to get the plumbing services you need here at Mr. Rooter Plumbing. We can perform camera inspections to get a clear picture of your plumbing problems or perform quick and efficient installation of your new appliances, workmanship and parts guaranteed! We look forward to earning your business! Prodamage is a professional certified and licensed Water, Mold, Fire and Smoke Restoration Company with many years of experience in dealing with all types of water and mold damage problems. At Prodamage we offer a wide variety of services to assist both residential and commercial properties. We can ensure you an easy restoration and clean up experience at all times. Our great team of certified and professionals are available 24/7 to assist you with your water damage problem or mold remediation. If water damage or mold damage is ignored it can magnify the problem, cause injury or it can cause property damage. Things can get frustrating if the wrong steps are followed. Let Prodamage guide you to the correct path, our large experience includes helping the customer in all steps of water and mold damage restoration and processing the paperwork involved with your water damage or mold damage insurance claim. 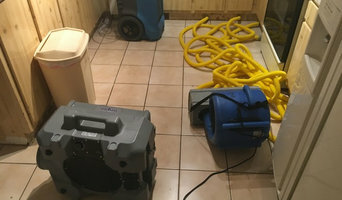 Water damage needs to be dealt the right way by certified professionals who uses the right techniques and latest equipment in the water damage industry. 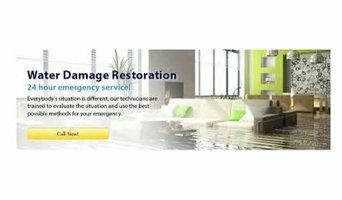 When you call Prodamage for water damage remediation not only do you get immediate service, you also get a professional team that stays on the job until you home or business is completely restored. Prodamage also can be your Insurance claims specialists - Direct Insurance billing with no Out Of Pocket Expenses! Taking care of your water disaster comes down to immediate service, equipment and adequate follow up. Lots can happen after the fact, potentially putting your home and livelihood at risk. Our goal is to minimize your water damage as much as possible by treating every detail with care, using our dryers and speciality equipment to test and make sure mold does not grow and build up. In Florida, mold can threaten you and your family's health if untreated, so we advise everyone to take mold remediation seriously. On the surface, it seems easy to clean away mold when in fact it takes much more to combat mold and fungus. Unexpected fire disasters can be overwhelming since plenty of problems will follow including repair, fire stain removal, and air quality control. Luckily, we're prepared to give you the service you need to walk away from a fire disaster with confidence. Despite the headaches that come with a fire disaster whether in your home or business, there are specific techniques you can use to recover quickly. One thing to keep in mind is not every fire restoration company will service your disaster from beginning to end; this means that not every fire restoration provider will offer complete clean up. At Dry Up Restoration, we handle fire disasters from beginning to end, so you can move on with your life. Water Damage, Mold and Fire. Thousands of clients rely on United Restoration each year to rebuild their lives, homes, and businesses. United Restoration restores homes, offices and your peace of mind. With United Restoration specialists all over South Florida ready to respond 24/7/365, and with an average response time of 10 minutes, we provide the most immediate, and highest quality of service that’s unmatched in the industry. With the best response team, you can have the difference between recovery and a total loss. Rely on United Restoration, with a proven track record and solid relationships with leading insurance providers, to manage your restoration process to get you back on the ground and running. With almost 30 years of combined experience, United Restoration’s team has serviced thousands of clients in the Miami/Ft. Lauderdale and West Palm Beach areas. United Restoration is a fully certified restoration company specializing in providing residential as well as commercial emergency services. Our team is available 24 hours a day, 7 days a week to provide leak, water, mold, fire, smoke, storm and flood recovery services. Additionally, we can facilitate all of your restoration needs, allowing you to get back to normal as quickly as possible. We specialize in commercial and residential emergencies, including leak detection and prevention, emergency water extraction and dry-out, mold remediation, storm and flood recovery, in addition to fire and smoke restoration. Our credentials, training and extensive experience have enabled us to become an industry leader in protecting, recovering and restoring thousands of residential and commercial properties throughout South Florida. Our United Blue stands for trust, dependability, strength and hygienics, qualities we guarantee to deliver to you, 24/7. Water Restoration Guys is a company servicing water emergency extraction and dry out 24 hours a day, 7 days a week. A growing population in Miami demanded from us to form a company which will require a unique standard, unparalleled in the industry. Our background in construction gave us an insight to how best approach a catastrophe situation and how to maintain the integrity of your home or building. During a water damage or fire damage situation many things go through your head on what to do, how to save your property. Our goal is to be your Water Restoration Guys in case of such emergency!